Various production and post audio roles based in Toronto, Ontario, Canada. Can't speak to the wideband filtering, but that's a really good point, I'm interested to hear if anyone else has experience with block 941 too. Coming up on 2 years of experience with my 688 + SL-6 combo, and I haven't had any issues with overloading input limiters from SL-6 sources. I typically leave my Lectro SRC + 2x SRB's output level at -6, which, with the SR's built in tone generator on, I line that up to 0 on the input level meters with 1-6 input trims at -12db (9-10 o'clock), about the same for inputs 7-12 hovering between -12/-11 db. This has been the gain staging that works for me, but would totally welcome any other 688 + SL-6 users thoughts on gain staging. It's worth mentioning, of course, that your average input source material levels > transmitter gains will vary from job to job, dramatic dialogue swings scene to scene, but this is my nominal starting point on the receiving end. Just as reference on overloading inputs, last summer I traded my 688 out for a few months with a friend's 633 to do a run and gun show edu-tainment series, and early on, I got caught a couple times peaking out the inputs 4-6 line level limiters with similar gain staging. I think I bumped the SR out levels down to -10 to adjust for this and that worked better, might have pulled my TX gains down a bit on average, as needed. *edit* 633 user friend recommends SR output levels up at +5, with 633 inputs set to line level. Naga, thanks for sharing this glimmer of hope. Unfortunate to see so many mixers having this issue with the MMP-C! I have been working around my MMP-C preamp's 20db~ of steady low end noise in my signal when paired with a Lectro HMa. The phantom power voltage issue seems the most likely source - though it is interesting to hear yours and Ben's noise was a higher pitch 'dusty vinyl' noise in the signal.. wonder why the difference? This other thread was recommended to me by Gavin Marsh, in which wiring in an 'RF choke' on the header cable between Lectro boom transmitter and the mic has shown some promise to reduce the noise. May be useful, if you haven't explored this yet. I intended to try this before exchanging my C pre-amp with my DPA dealer (for the 2nd time)... Will post an update here if/when I get around to trying it. Thanks for this reply @Nate C, way back in June.. I ended up buying a couple of these and totally echo the sentiments you shared. +1 for tacking down the middle opening, surprised Rycote didn’t build them closed all the way around. Interesting to see see how people are packing their 4098’s. I keep mine in the two DPA pencil cases the kits came with, lid mounted with some Velcro to the inside of my boom mic Pelican briefcase, so they don’t really need hard cases of their own. Complete with Rycote mini jammers, microdot to TA5 adapters, microdot to XLR adapters, and microdot extension cables. 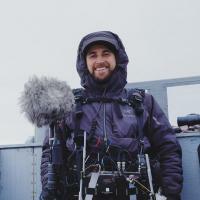 Nate C, curious about these Rycote mini Fluffies, can you elaborate on those? I will have a look around for more ideas to improve wind protection on the 4098’s, recently had some car rig scenarios with an open window and a crossbreeze was beating up the stock foamies. Have heard a couple different opinions recently on cable reels, namely which direction they are terminated.. It makes some sense to me as a boom op to have an XLR reel wired with the male end at the end of the cable, feeding into the mixer, and un-wind it out with all the slack moving out onto the floor with the boom op to patch into the female built onto the reel housing (because video village/mixer shouldn't move as much). The other thinking is to wire reels with the female connector at the end of the cable, male side on the reel housing which would park at the mixer, and the boom op has the freedom to just take enough slack out on the floor to do their thing, maybe ask mixer to spool out more cable for them over comms. Have been hunting around for more threads on RFI in DPA 4017/18 MMP-B + MMP-C pre-amp.. haven't found much here. A fellow mixer and I just purchased a couple of 4018 capsules with MMP-C pre amps and the pre amps seem to be inducing a kind of steady, airy, fan like RFI when used with a lectro HMa. Works fine when wired directly, tested with a third 4018 w MMP-C pre amp of an older vintage, which seems to work fine with an HMA. Wonder if the pin disconnection idea is the solution? Any one else having trouble with MMP-C over wireless? A lot of happy SD users today! Definitely makes the 633 ever more the attractive unit.. Cool that the SL-6 speaks to the Sennheiser SuperSlot wireless receivers now too. I've owned a 744t since 2012 which I have been very happy with as my first recorder. 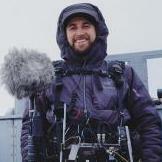 My thanks also, to Sound Devices! Just getting into upgrade territory and weighing out a 788t or 688.. or waiting out the mysterious rumoured 7 series new addition? Has this been officially quashed? Here are a few pics of a little addition I recently made to my mix bag (Petrol PEGZ-1F) workflow that I wanted to share with all of you. Found this Logitech Keys-To-Go Bluetooth keyboard (http://support.logitech.com/en_ca/product/keys-to-go-ipad) at Best Buy, which has been handy for punching notes into the Sound Report Writer app on my iPhone between takes. The interfacing with iOS isn't perfect for navigating through the app's text fields (I'm hoping to find a way to map out custom key commands to tab around more easily between fields, OR fingers crossed.. this will improve with an app update from Tyler at Inaudible Labs *pokes*) but after some field testing, it's definitely been a more ergonomic and enjoyable option for text entry in more controlled environments, and obviously only feasible when working with a dedicated boom op. I found these random lightweight aluminum rods in my granny's basement, which were originally about a foot long and straight across, with those S-bends mirrored on either end. So I hack-sawed the S-bends off one end of each rod, filed down the rough edges, heated the middle of the rods with my camping stove, and applied some careful pressure to make the 90 degree bends pictured here. I tried super gluing on some velcro to both the rods and the keyboard, but it didn't take too well. The keyboard material has a soft rubber, pleather'y feel. Will be trying again with a different bond soon. The rods easily pop into the velcro seam at the back of the bag for seated/stationary use, or they work fine in the velcro seam up front for when I have the bag harnessed up and walking around. Only minor issue with that is the keyboard gets in the way of the front pocket contents, where I usually stash my lav mounting accessories/tapes etc, but the keyboard pops off the brackets and onto the mixer/recorder no problem for pocket access. The things you see in hotel hallways..